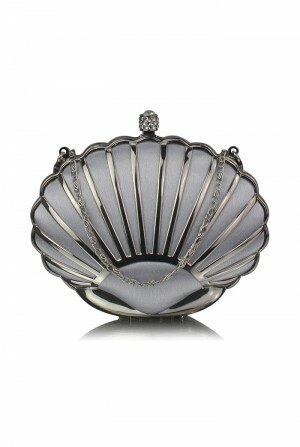 A slick lick of silver is all you need to update any evening outfit and this Silver Scallop Clutch brings a sophistication and elegance that will have you VIP at any shindig this season. 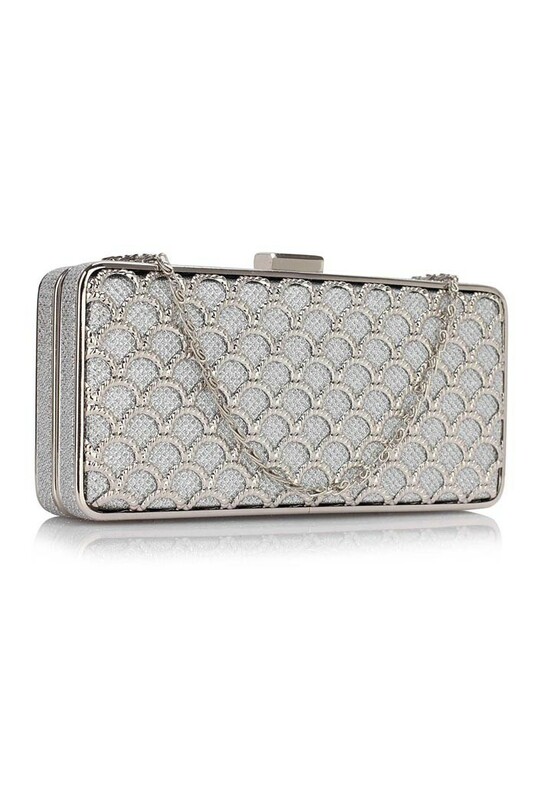 We adore that fan inspired pattern, making this silver metal bag the perfect for teaming with a tasselled flapper dress or simply adding to a black jumpsuit. 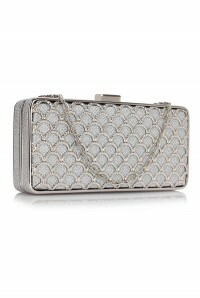 This really is a timeless vintage handbag that works for any occasion. 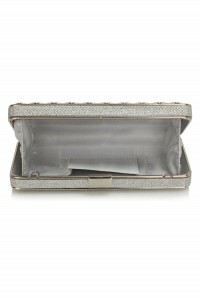 This art deco style clutch features a silver tone metal frame with scallop cut out sections set on a silver glitter fabric. 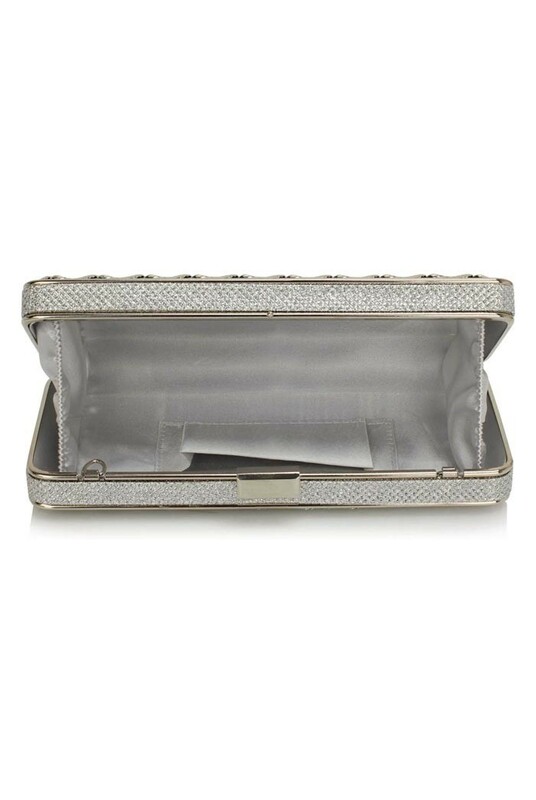 This rectangular clutch bag opens with a push clasp, has a small interior pocket and silver metal link chain to use as shouder strap. Measures 20 x 8cm.